Grab your board and take on legendary waves in Surf World Series, the arcade surfing game that brings you to 5 of the world’s most infamous surfing destinations. Grab your board and take on legendary waves in Surf World Series, the arcade surfing game that brings you to 5 of the world’s most infamous surfing destinations, including Bell’s Beach (Australia), Waimea Bay (Hawaii), Supertubos (Portugal), Cacimba do Padre (Brazil), and Jeffreys Bay (South Africa). Enjoy afternoon, evening, night, and bad weather variations with different waves and visual aesthetics. Perform surfing’s most intense tricks, including the Superman and Sushi Roll, against 15 different surfers. 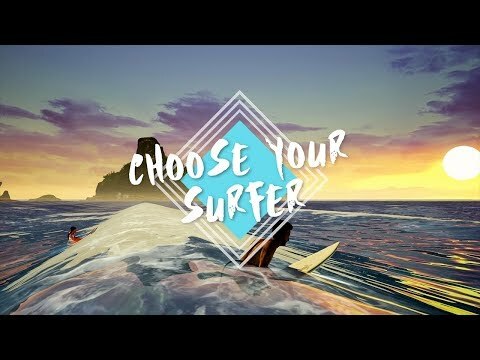 Design your own signature surfer with 6 playable characters and thousands of customizations to have the freedom to design your own unique slick style. Compete in 3 multiplayer online modes: Big Heat Battle, Championship and Survival. Surf World Series. Copyright 2017 by Biodroid Vision 1 Ltd. All rights reserved. Published and distributed by Vision Games Publishing LTD.